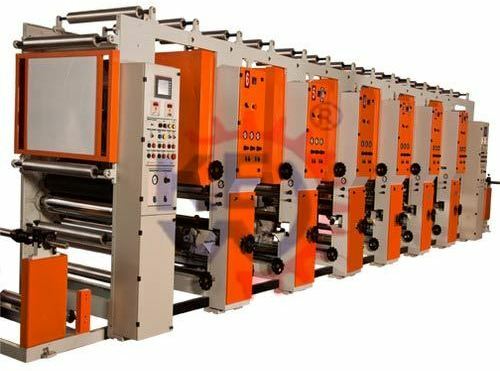 KEW manufactures, exports & supplies precision quality Rotogravure Printing Machine, which is suitable for printing plastic and paper packing materials like Polyethylene, Polypropylene Bag, Cellophane, Paper Roll, BOPP Film, LDPE, OPP, etc. from Ahmedabad, Gujarat, India. 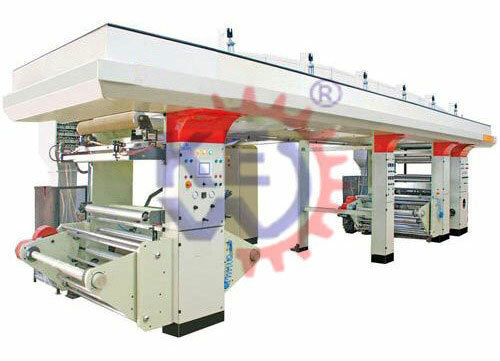 KEW Rotogravure Printing Machine are the most suitable & efficient printing Equipment for Printing of Paper Bags, Plastic Bags, Milk Pouches, Food Bags, Super market Hand Bags, Vest Bags, Cloth Bags, Confectionery Wrappers, Film Pouches, etc. We have been successfully manufacturing, exporting & supplying all types of Rotogravure Printing Machine since last 25 years from Ahmedabad, Gujarat, India. We are winner of 3 times National Award and 2 times International Award for Quality manufacturing. For Rotogravure Printing Machine, we have processed all types of material like Polyester, BOPP, LD, PVC, Paper, Aluminum Foil, Film, etc. 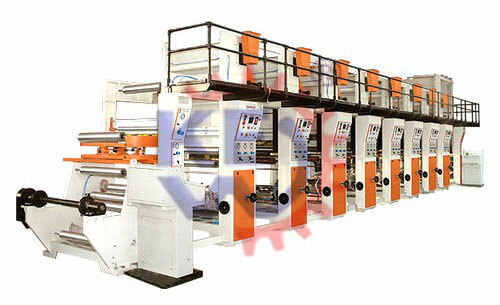 We have more than 105 installation of Rotogravure Printing Machine in India and overseas like Saudi Arabia, UAE, Dubai, Sharjah, South Africa, Nigeria, Ghana, Congo, Kenya, Zambia, Sri Lanka, Bangladesh, Malaysia, Pakistan, Nepal, Russia, Thailand, Indonesia, Brazil, Colombia, Venezuela, Argentina, Mexico, Canada, etc. KEW offers new high speed Rotogravure Printing Machines – Model – KEW–HSRG–001 Semi Auto. The machine has great aesthetic looks with great performance at high speed. Maximum operating speed	: 150 / 200 meters /min. 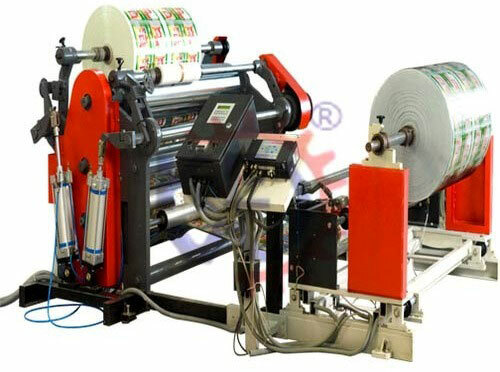 Printing materials	: Foil, Paper, Polyester, Bopp, PP, PVC, LDPE etc. Modular printing station each being complete in it for easy adoptability of when required. Specially designed compensator roll with ball screw to achieve extra-fine registration. All rollers are dynamically balanced to ensure noise and vibration free operation for accurate printing. The unique design of the impression roller ensures even application of pressure across the entire width of the substrate. 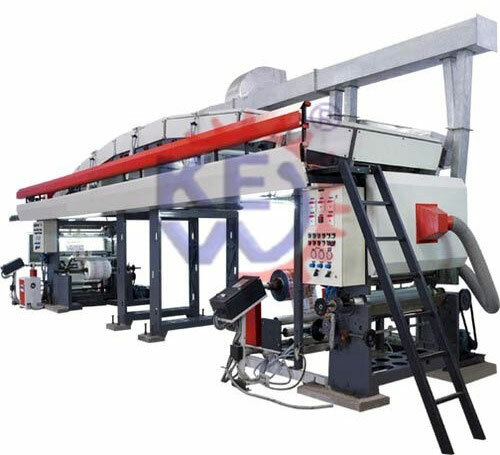 Close type single side drying oven & special type one & one type counter flow arrangement for exhaust and air blowing to get high speed drying. Individual control panel at each station for all electrical controls & pneumatic system. PID control with exhaust with drive controls. Ultrasonic edge guide sensor with electric motor actuating. Unwind tension control by dancer feedback and load cell indication. In feed system to maintain tension between unwind and first printing unit. Unwinder, Rewinder, in-feed, out-feed and main drive tension control by HMI touch screen / PLC control. Out-feed system to maintain tension between last printing and Rewinder. Rewinding tension control by dancer feedback and load cell indication same as controlled by unwinding side through HMI Touch screen. Individual inspection box with light provided on each station to see the registration of printing of each station while machine is running. Motorized web video inspection system with traverse bar mounting. Automatic length and side-lay register control system with full colored touch screen to controlled registration during running press. Provided with high resolution color camera, monitor to see registration while running. A.C. Digital Servo Motor with servo drive to get higher accuracy of registration at higher speed for rotogravure press. 3 Drive and 5 Drive Servo Option available.